Looking for private in-home or in-studio Songwriting lessons? Our Reston teachers are ready to get you started. Find your teacher today! Check out some of our most popular teachers near Reston, VA including Washington, Arlington, Alexandria, Silver Spring and Gaithersburg. 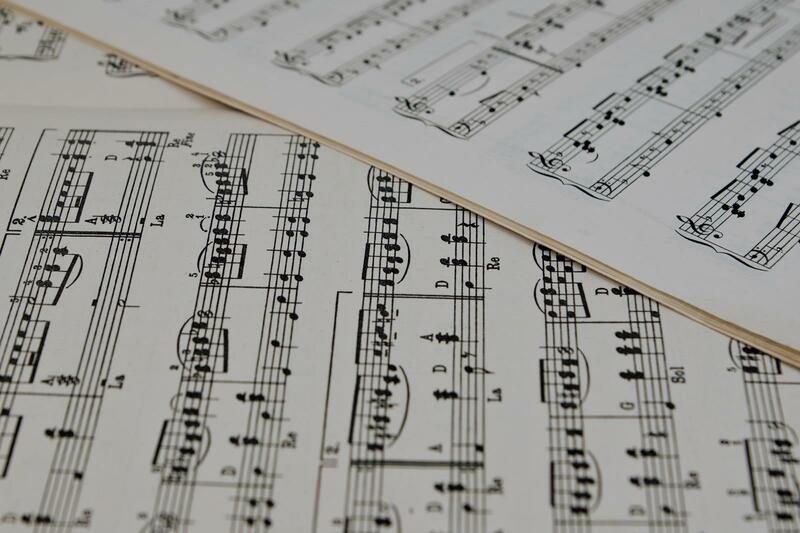 Experienced in contemporary song writing, as well as writing and arranging music for church worship music, choral music, strings, and classical guitar. Experienced in both playing and recording by ear, as well as writing down formal music charts and scores. I encourage all students to try writing music or at least coming up with their own basic ideas. I will then work with the student's ideas to help them learn how to develop an initial idea into a large more complete musical form. If the student is able to write more complete songs I will coach them in techniques to improve the structure, harmony and melody of their work. I try to demonstrate ways that they can improve their writing without simply rewriting their ideas for them. For all of this I draw on my many years of experience as a composer. I try to guide the student towards developing a process of writing music that works for them. My main goal is to help them to grow into their own musical voice rather than to simply do what I suggest. I have been teaching guitar for 25 years in the Washington DC metro area. I work with students 12 years of age and up, but I am especially experienced at teaching adult students regardless of whether they are beginners or have previous guitar experience. I have performed in acoustic Celtic, new age, funk, progressive rock, fusion and contemporary jazz groups and am currently performing regularly as a solo acoustic guitarist. I have composed over 40 works for solo guitar as well as numerous pieces for small jazz bands. I have played on numerous CDs including my most recent solo CD 'DARK MATTER'. al fundamentals of guitar technique including chords, scales and rhythm guitar playing as well as the art of improvisation. A significant amount of time in the lessons is spent actually playing with the students so that the technical concepts are put to use in real music situations. To further the student's understanding of music I frequently teach elements of music theory to those who are interested. I have guitars and amps available for student use although I prefer that the student bring their own instrument. I also have all the needed accessories, cables, stands etc. Adult students (and older teenagers ) whether beginners or experienced are a particular specialty of mine. Adult learners want to be treated as adults and often times benefit greatly from a more mentor oriented approach to teaching. I like to describe myself as both a teacher and a coach so as to emphasize that the student and I are on the same team sharing the goal of improving their guitar playing and musicianship. We are both on the same path of musical discovery. I am probably just farther along on that path with insights and knowledge that will hopefully help them along their way. Dennis was my instructor and is a bit modest about his experience. He taught me on my mom's crappy nylon stringed spanish acoustic guitar back in the 80s. I hope he reads this and remembers the little studios at Fox's Music in Falls Church. He patiently taught me Rick Springfield songs, probably against his taste and better judgment. Anyway, he got me started in my teens and I'm still playing some of the tunes he taught me (plus a few hundred others) on a slightly nicer guitar these days, in my 40s. Keep rockin', Dennis, and thanks for helping spark a hobby I still enjoy decades later! Dennis is a friendly and kompetent teacher and I am looking forward to his next lesson! Dennis was an excellent teacher. He is incredibly talented and his passion for music is contagious. Dennis was also very patient and understanding. He meets you where you're at, and is able to address any questions or difficulties you might encounter. I enjoyed every lesson! I am in 6 local bands, and have played in a dozen more in my time. Spread through those bands, I have written approximately 200 songs since I was 18. I have recorded numerous times and have a few releases on independent labels in the Washington, DC area. If you have a vision for a song, but aren't quite sure how to manifest it, I can help you. I teach the basics of music theory and use these principles to write songs in MuseScore (a free composition software). Proficient songwriter with 20 years of experience. I specialize in rock, pop, folk, and singer/songwriter styles. I keep songwriting fun, yet challenginng. I tailor the lessons to my students interests and goals. I’ll teach chord progressions, work on lyrics/melodies, and develop ideas to full songs. Let’s rock out and have fun! I am a professional guitarist, songwriter, and drummer. I have been performing and teaching for over 14 years. I’m the singer/guitarist/songwriter of a local band and have gigged at all over the DMV area. I graduated from James Madison University with a Bachelors of Music, emphasis in Music Industry. Guitar lessons – I specialize in rock, pop, blues, and folk styles. I teach acoustic and electrical guitar lessons to students age 5 through adult! I help students learn their favorite songs and can teach chords, soloing, note reading, improvising, and music theory. Songwriting lessons – Songwriting is a deep passion of mine and I specialize in rock, pop, and folk. I teach students how to formulate ideas, use chord progressions, make beats/arrangements, overcome writer’s block, and develop solid polished songs. - I specialize in rock, pop, blues, and funk styles. I teach drum set lessons to students age 5 through adult! I help students learn their favorite songs and can teach beats, fills, note reading, improvising, and fundamentals. I love teaching lessons and sharing music with eager students. Music should be fun, yet it teaches the value of hard work and the rewards that come with it. I look forward to meeting you and helping you achieve your musical goals! Matthew is a great teacher. He is very knowledgeable & patient. He always answers my son’s questions, gives him advise and homework. My son has learned alot from Matthew and he always looks forward to his Guitar lessons. We are both very happy with matthew. If you need guitar lessons, contact Matthew. You won’t regret it. he is an excellent teacher. I am a novice guitar player and took lessons from Matt for 10 weeks to try to take my playing up a notch. Matt's teaching style is excellent and was driven by what I wanted. He didn't try to force any particular curriculum but built the lessons around what I wanted to learn. He taught me techniques to learn songs I wanted to play and even mixed in some music theory. I had asked to learn a little theory and Matt made it really interesting. I highly recommend Matt as a guitar instructor! Can't find a teacher in Reston, VA?